The biggest water jet machine in Africa SUPERMA 620(2000X6100MM)Waterjet machine for precise cutting of all materials including steels, aluminum, marble, glass, plastics and other non-ferrous materials. Complex contour cutting is easily input through a simple interface or by importing CAD files, heavy duty construction with long life stainless steel tanks. With waterjet machining, a flat piece of material is placed on a table and a cutting head moves across the material. This simplicity means that it’s fast and easy to change materials and that no tool changes are required. 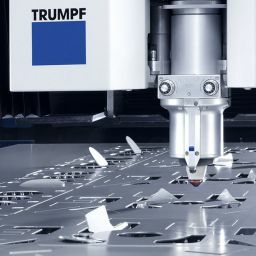 All materials use the same cutting head, so there is no need to program tool changes or physically qualify multiple tools.